Alicia grew up in a home where abuse was common. She, her brothers and her mother all suffered from her father’s uncontrollable anger. To make matters worse, Alicia’s school was dominated by students of a different ethnic background, who shunned and taunted her. Alicia’s bubbly and outgoing personality was repressed and she was in danger of depression. We got to know Alicia over the summer in our camp and we knew we had to help. We found Alice a new school in a different city and a loving, healthy boarding family. Alicia attends our ChillZone afterschool programs and trips throughout the year. She’s thriving in her new school where she is free to express her creativity. She’s made many new friends and is looking forward to coming back to our camp for another summer. After Tammy’s family moved to a different city, her life took a turn for the worse. In her new school, she was bullied and mistreated. Her grades were suffering too. Tammy’s Kars4Kids mentor, who called on a daily basis, helped her find a more suitable school, but Tammy had a lot of catching up to do. Kars4Kids arranged a tutor for Tammy over the summer. Tammy’s tutor motivated her to put her all into her schoolwork. 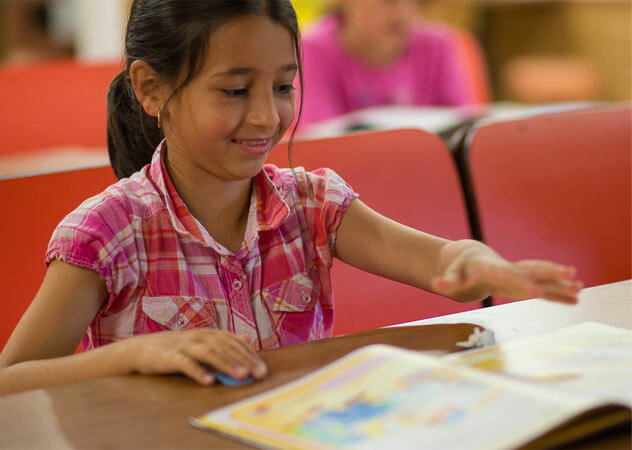 Tammy’s mom said the change was remarkable: instead of coming home in a bad mood and refusing to touch her books, Tammy happily sat down to her homework as soon as she got home. With the help of her tutor and her mentor, Tammy thrived academically and socially in her new school. Tammy’s mom attributes Tammy’s success to all the help from her Kars4Kids mentor and tutor: "I feel so pleased to have you in our lives," she wrote to us. "Tammy is pretty much right on par with the secular studies and will very soon be ahead. 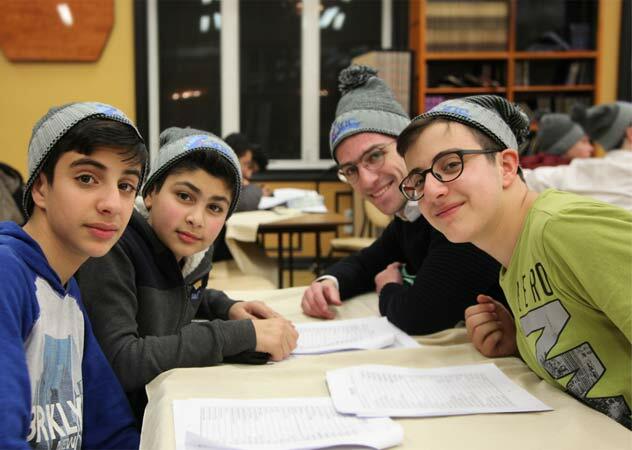 Thank you for being there…"
Partial list of Jewish private schools that we partner with. Getting to Know the Student: We want to make sure we're choosing the appropriate school for each student, so we first get to know each applicant and their family. After they fill out an application, we set up a meeting with the family. Find the right solution. We take many factors into account when we select a school for a student, including academic needs, family background and location. We narrow down the choice of schools to the few that are appropriate for this particular student. We explain the different options to the child's parents and give them the information they need to apply to the school of their choice. Stay in touch: We want the transition to a new school to be a smooth experience. We coordinate the student's parents and the school administration to make sure the child is adjusting well. We are in touch with teachers, principals and school social workers. The student's mentor can usually smooth out any issues that come up but we arrange tutors or outside services when the situation is beyond our expertise. Giving children a head start for a successful life. Utilized effectively, the all-important school years implant a lifelong love of learning and thirst for knowledge in impressionable minds. We’ve found the formula for success in school: the right school + good support and follow up + studying and homework help = a happy student. These are the cornerstones of our educational support programs. Choosing the right school is the first step to success. For a child to flourish, they need a school that fits their academic needs, family background, culture and personality. Our school placement program is geared to Jewish children with little knowledge of their heritage. We partner with hundreds of high achieving schools across the country with strong secular and Jewish studies curricula. As the switch to a new school may mean an increase in tuition expense, our tuition assistance programs ensures each child is financially able to attend the school that is best for them. I've been tutoring Natalie for over 4 years and we've climbed mountains. Not all learning happens in the classroom and many children can benefit from afterschool reinforcement to their studies. Whether it’s the one-on-one assistance of a tutor or homework buddy, the personal attention of a mentor or a weekly group study session, that little extra help throughout the year makes a difference for countless students. Our mentors touch base every week over the phone or in person to see how they can help our students thrive, be it brushing up on classroom material, a study session on a specific topic or just giving them the interpersonal skills and confidence to succeed. Our mileage program rewards every minute of study time with cool prizes to incentivize students to put in their all.